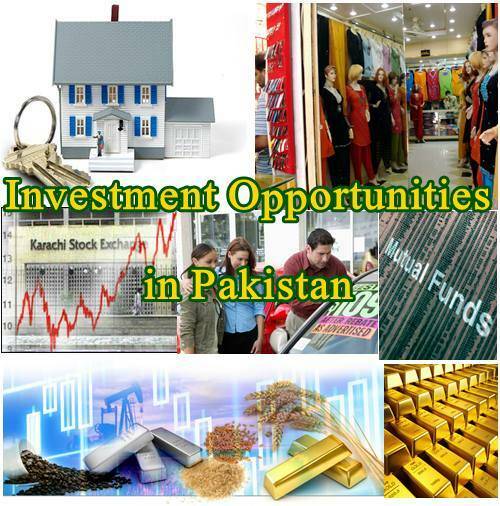 Many people are seeking advice on what are some good investment opportunities in Pakistan. Some of them soon or later deposit their hard earned money in bank or put it in some type of saving schemes e.g National Saving Schemes, Prize Bonds or Insurance Policies. Though all of these looks very attractive at first but have not much real potential. These saving schemes shows big numbers in terms of profits but when you take into account the decrease rate in the Pakistani Currency Value you will find that you will only get big figures but less value. Moreover banks and most of other financial organizations works on interest system (سودی نظام) and give profits gained from interests / mark-up which is not allowed to Muslims. So always try to find investment options which are safe and permitted in Islam. This post is written for general public; an employee, a housewife, a retired government servant, a small business owner or other common people and not for business tycoons and big investors. These common men intends to invest their savings in such a way that can not only give them reliable and stable profits but also must be safe because they don't want to loose their money in the greed of profit. So the question is if Saving Schemes and Bank Profits are not as much advantageous as they seem then what is the right way to invest your money. Below we will state some investment options. Though we will give you only hints and will not elaborate these in details. If you are interested in any of these, you have to further learn its basics and pro/ cons on your own. You can search internet to read further details about any of these. Please also note that none of these options is 100% safe and we can not guarantee of any of these. Investments also have risks. Some investments are long term and some are short term. Long Term Investments are profitable and beneficial only if done for longer periods of time while short term investments can give you profits in shorter times generally. Following are the opportunities in Pakistan. We tried to list only those investment ideas which are Halal. Commodity Trading (buying and selling of gold, silver, crude oil, rice, sugar, wheat and other products). It usually involves a third party which manages trading on behalf of you. Investing in a local business which requires investments but ensure written agreement with owner. Another option is to support someone preferably one of your unemployed friends or relatives to establish business. You will act as sleeping partner or investor while the other will be working partner. In this business model, you will not only help others to earn their livelihoods but will also earn an handsome amount as profit. But agreement is also necessary for this. Please give your feedback if you like any of the above business idea or if you have any suggestion or recommendation please share via your comments. I like it what you say, but person with a limited resources and energy falls for these options from Gov and banks. He or she gets enough to get by in their daily life. No Investment is safe in the world nowadays. So try what suites you best with good intentions and God will help you. I think the option # 6 is suitable for me about cars because I have already a little bit experience in it but what is the process. I am totally unaware about. We are running online website www.myzone.pk if anyone wants to start a business with small amount of money we can help him/her to start his/her own business and will guide him/her as well.